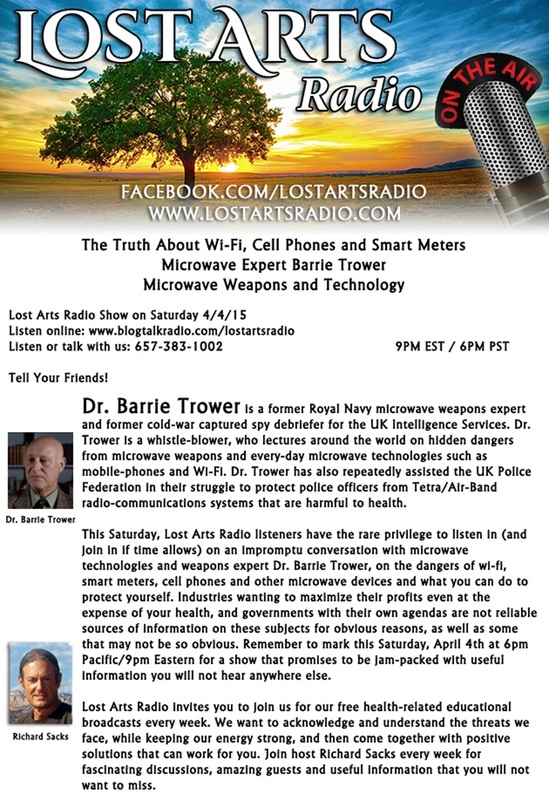 Barrie Trower Discusses Smart Meters on Radio Call In Show Saturday Night! Barrie Trower is one of the world’s leading authorities on microwave radiation – such as we experience from cell phones, wi-fi and smart meters. He has been one of the leading lights of our movement. Saturday night, April 4th, at 9 pm he will be doing a live radio show on these topics and will be taking call-in questions.